Dental bonding is a common procedure that is utilized in both cosmetic and restorative treatments. In addition to concealing minor aesthetic flaws, the bonding material can also be used to place tooth-colored dental fillings after removing decay. Drs. 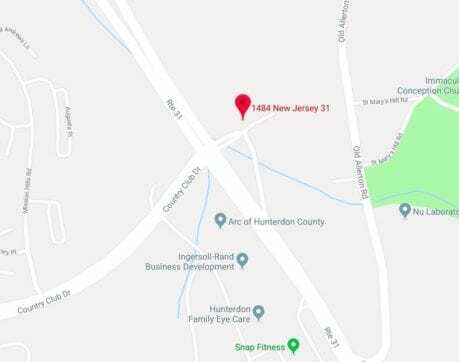 Carson Ferris-Zeolla and Victoria Uryniak offer dental bonding at Walnut Pond Dental in Annandale, NJ to treat damaged teeth and give your smile an aesthetic boost. Bonding is performed with a special dental material called composite resin. This high-grade biocompatible material can be color-matched to your natural teeth for a beautifully seamless appearance. Because dental bonding is completely reversible and cost-effective, many patients choose it over porcelain veneers. Used on its own or in combination with other treatments, dental bonding is an incredibly versatile procedure that yields astounding results. · Cracks or Fractures: Bonding can mask minor cracks and reinforce the tooth structure, making it resilient to further damage. · Chipped Teeth: Small chips in the teeth can have a negative impact on your smile. These flaws can be concealed with bonding for a symmetrical and balanced appearance. · Misshapen Teeth: Composite resin can modify the shape of a tooth, widening and lengthening it as necessary. This can address uneven teeth by making them more symmetrical. · Tooth Discoloration: Dental bonding can camouflage stains that cannot be successfully addressed with professional teeth whitening. · Slightly Misaligned Teeth: Composite resin can be applied to a slightly crooked tooth to make it appear more even and flush with the neighboring teeth. · Mild Tooth Decay: Small cavities can be repaired with composite resin. The bonding material is used to fill in the voids left behind by the tooth decay. · Fast Treatment: While the exact length of treatment will depend on the number of teeth being treated, dental bonding can typically be performed in one to two hours. Patients love the fact that they can enjoy dramatic results the moment they leave our office. · Affordability: Dental bonding is one of the most cost-effective treatments in cosmetic dentistry. · Durability: Composite resin is strong and resilient. With proper maintenance, dental bonding can last for many years. · Optimal Aesthetic Outcome: Dental bonding is a simple and straightforward procedure that produces incredibly lifelike results. · Improved Confidence: Dramatic results can be achieved in one visit resulting in an instant boost in self-esteem. · Dental Etching: To prepare the tooth for bonding, a solution will be applied to the enamel. After a few seconds, the solution will be rinsed off. · Bonding Agent: So that the composite resin can properly adhere to the tooth, a bonding agent will be carefully brushed onto the surface. · Composite Resin: Once the tooth is prepared, the composite resin material will be skillfully applied. Several layers may be necessary to achieve the desired effect. · Shaping: The doctor will sculpt the composite, molding it into the proper shape, length, and width. · Curing: Once the composite has been shaped, the doctor will harden it with a special dental curing light. · Refinement: After the composite has been cured, the doctor will check your bite, smooth out any rough edges, and make any other necessary adjustments. To care for your new restorations, proper oral hygiene is imperative. We recommend that you brush at least twice a day, floss at least once a day, and attend routine dental visits. It is also a good idea to limit foods that can stain your teeth, such as tea, coffee, red wine, colas, and dark fruit juices. If you would like to address minor cosmetic imperfections and improve your smile, dental bonding could be a solution for you. To schedule a visit with one of our doctors, call our office at (908) 200-7007, or contact us online.